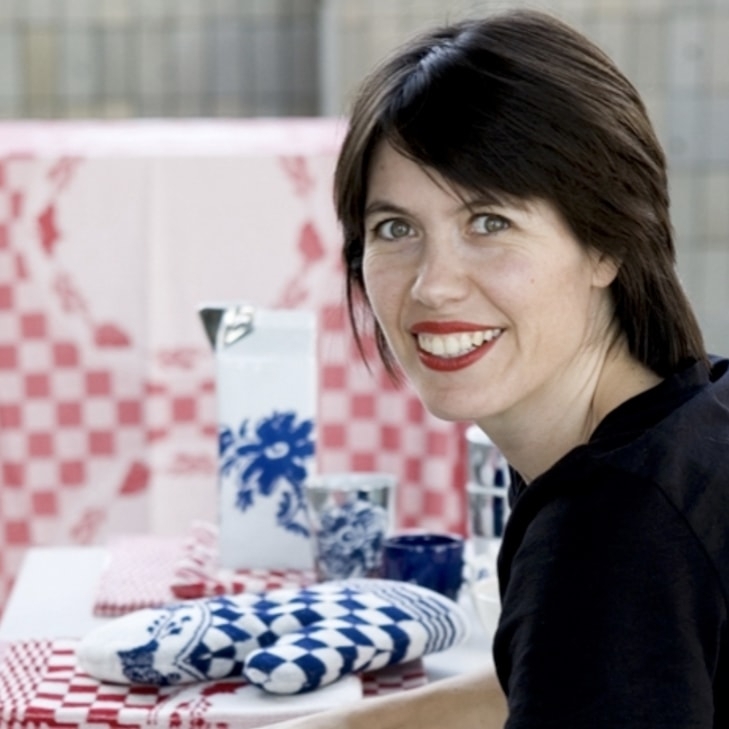 Seroj is a Dutch designer of products and accessories with a passion for craftsmanship, attention to detail and a broad knowledge of materials and techniques. 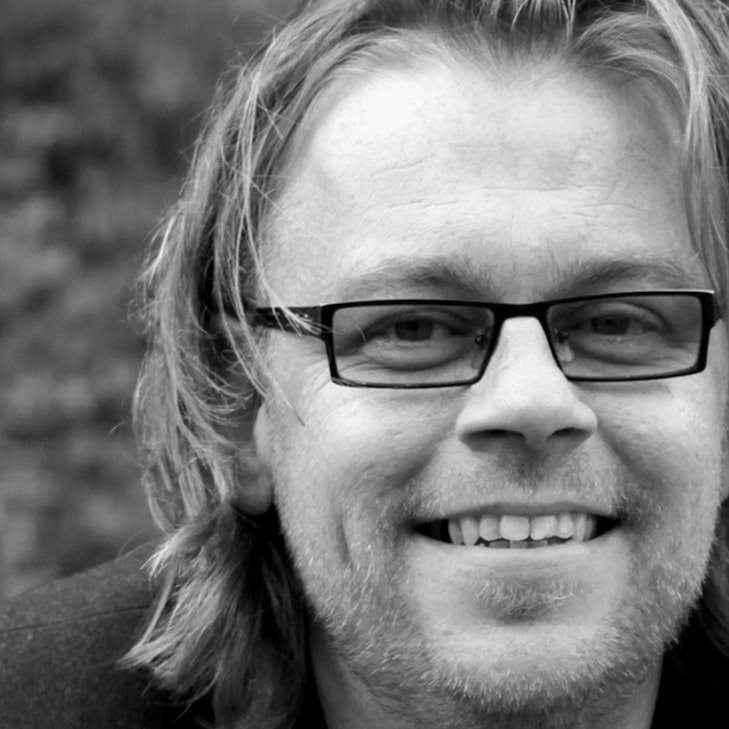 Sophisticated and typically Amsterdam. 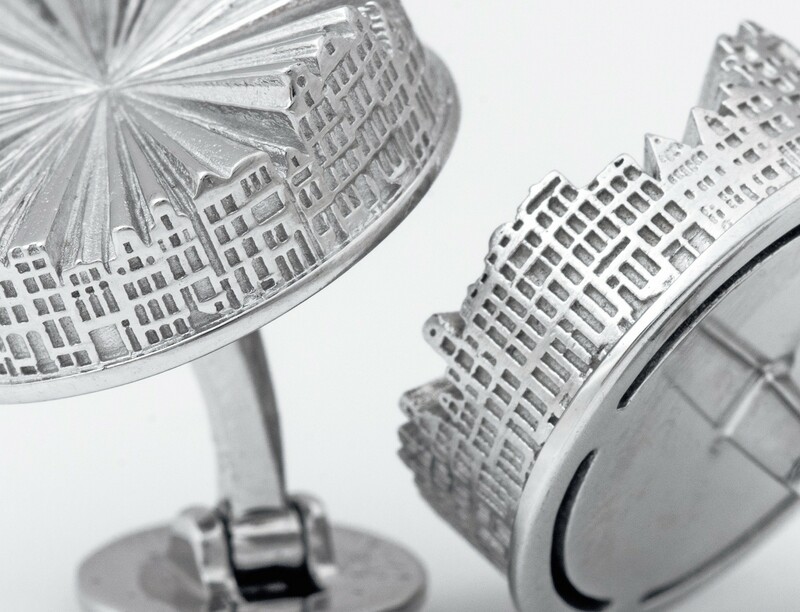 These unique cufflinks depict several historical Amsterdam canal houses, inspired by the Herengracht. Handcrafted to detail with rhodium finished sterling silver. 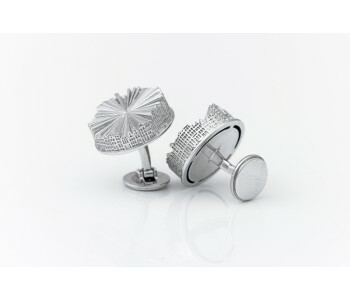 A set of 2 cufflinks in a beautiful gift box. A subtle and stunning eye-catcher. The perfect gift! 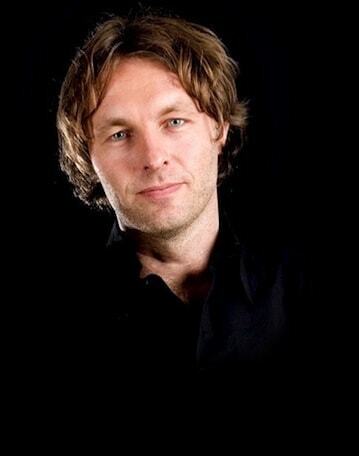 Extremely refined and typically Amsterdam. Viewed from above these silver cufflinks are a halo, viewed from the side they depict several historical Amsterdam canal houses. Existing canal houses: Herengracht 1 to 77 to be exact. 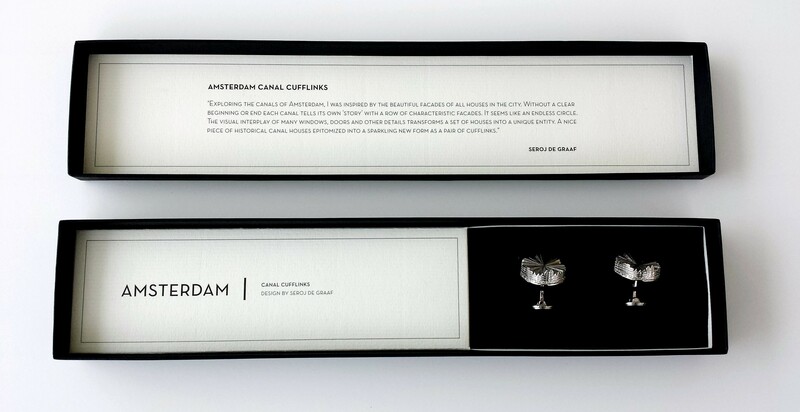 These ‘Amsterdam Canal’ cufflinks have been distinctively designed by Seroj de Graaf on the basis of drawings from municipal archives. 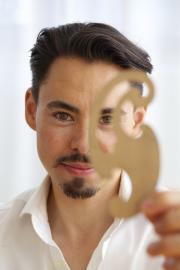 Made with passion and attention to detail, Seroj says: ‘Cufflinks are one of the few accessories with which men can distinguish themselves ’. Classic men’s jewelry with a modern twist. Every Amsterdam Canal cufflink is 100% handmade of sterling silver and finished with a rhodium coating. 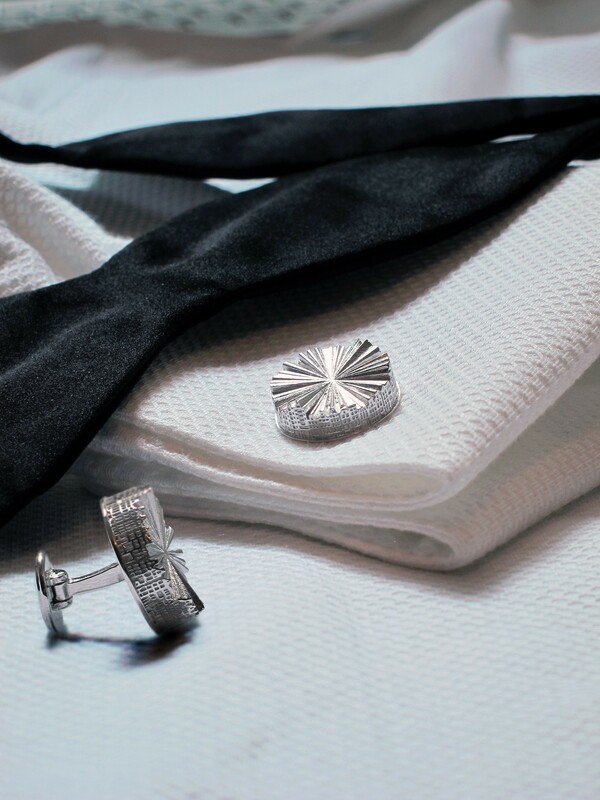 We deliver these cufflinks in a matching gift box.